Hong Kong, September 11, 2017 - Since the launch of the Technology Voucher Programme (TVP) with a fund of HK$ 500 million allocated by the Innovation and Technology Commission (ITC) last year, a number of projects have successfully obtained the subsidy and many SMEs have been actively planning for application. 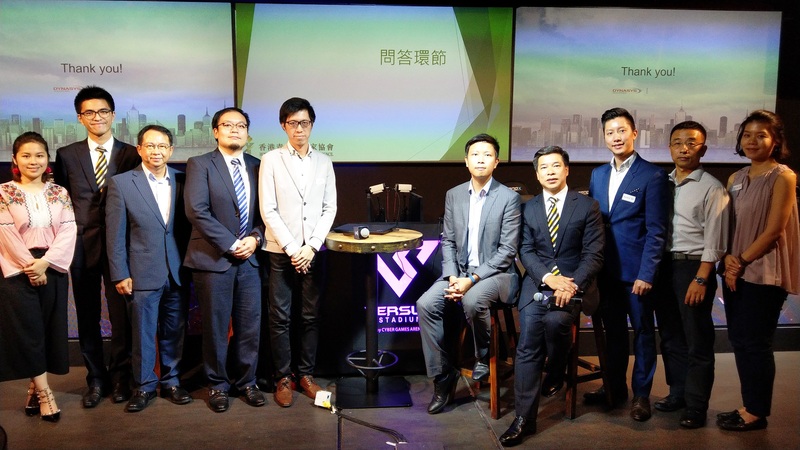 In view of this, Hong Kong Young Industrialists Council (HKYIC) organized TVP Seminar at the Versus Stadium in Lai Chi Kok on the afternoon of September 11 (Monday) and invited ITC representatives to share the current status of the scheme and application tips. As a TVP solution provider, C&T was invited to the event to introduce relevant software products for SMEs and to share its experience in successful TVP application with a customer. 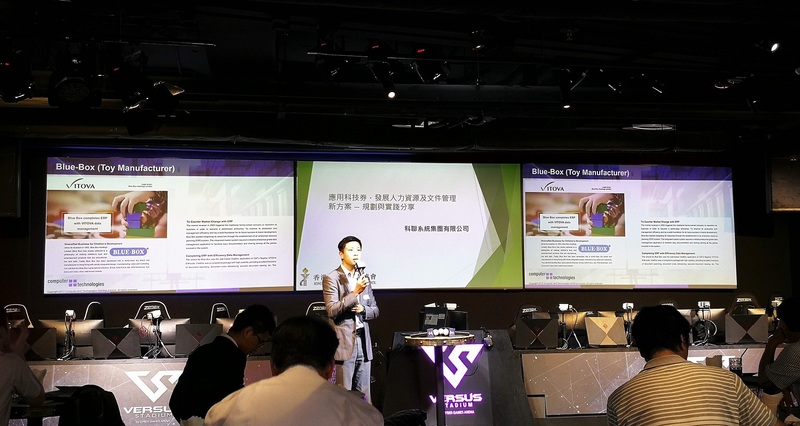 Targeting HKYIC members and SMEs, the seminar was well received by dozens of representatives from manufacturing, information technology, engineering and other industries. The event was held at the exciting eSport venue of Versus Stadium to enhance the audience’s understanding of TVP in a relaxing, interactive way. In the session of "Applying Human Resources and Document Management Solutions with TVP - Planning and Case Sharing", Mr. Tommy Choi (Business Development Manager of VITOVA EIM) introduced how to upgrade and transform enterprise operation with C&T’s flagship document management system. Mr. Alan Ma (Sales Director of IPL HRMS) followed with the introduction of C&T’s flagship human resources management system and shared C&T’s experience in helping an IPL HRMS customer, Keio Engineering Ltd., to obtain the TVP subsidy successfully. Together with useful tips from experience, the SMEs learned the real case of successful application for better planning of their upcoming TVP-specific system upgrade or transformation. In the interactive Q&A session, the audience showed keen in interest in TVP and received first-hand information and valuable advice from ITC and C&T representatives in many areas of concern, from careful planning and tips for quickening vetting and approval, to how to find out the most suitable TVP solution. The seminar provided a great occasion for SMEs to get more familiar with TVP and clear their uncertainty in system upgrade planning and TVP application.